An article by one of this website's authors for Novaja Europa magazine The Belarusian liberal United Civil Party has decided not to participate in the local elections scheduled for April 2010. the authorities have started a new wave of repressions against independent media and conduct the election campaign in the same undemocratic way as during all previous elections in Belarus since 1995. Taking these facts into account, the party's decision seems right. Such elections must be boycotted, but the absence of elections should not be an excuse for the opposition to not promote its ideas among the public. More than that. It must finally be admitted that the Belarusian democratic opposition is currently unable to come to power. Neither the fraudulent elections, nor some Orange Revolution triggered by elections can lead threaten the current Belarusian regime. Such attempts have been several times repeated during the past fifteen years, and indeed, "if you do what you did, you'll get what you got". 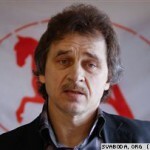 What should Belarusian opposition parties do in these circumstances? What can the much larger informal public opposition hope for? A possible successful strategy of the democratic camp is seen in two complementary ways: 1. The formal existence of opposition political parties and their transformation into think tanks or education centres; 2. A total quasi-partizanization of the opposition community. For the organized opposition (political parties and movements) there are also two possible ways of behaviour. Firstly, they could act like a symbol, a lighthouse, and keep existing in an embryonic form. Sooner or later the public political life in Belarus will unfreeze and political parties (or catalysts of protest sentiment in an emergency situation) will be required. A different thing is that there is no indication that this may happen in the next few years. And therefore the raison d'être of most of today's opposition parties is dubious. Another activity for the institutionalized democratic opposition in today's conditions could be generation of ideas and their promotion among the people. The UCP seems the only political party which has a relevant team of experts as its members. The potential of most other parties in this respect seems much more dubious, if existent at all. The second effective strategy is more important and is already long since being implemented de facto. It is a strategy that has been used during the past 200 years by the independence movement in Belarus: the strategy is to use the infrastructure of the present regime to achieve own goals. This means selective collaboration, underground activity and co-optation into the existing order. After 200 years of Russian and Soviet rule, Belarusians are very well used to undercover work and guerrilla warfare. A successful example of such tactics is what can be called "the cultural opposition" from a number of public organizations and initiatives. These organizations have managed to de-politicize the questions of Belarusian language and culture. Since these organizations have no intention to come to power, officials are more inclined to cooperate with them. Instead of aiming to come to power, these organizations demand fulfillment of certain requirements, which are usually objectively important. Such a strategy can now be productive at least with regard to issues of national revival, or, to a lesser extent, promotion of the liberalization of the economy. Unfortunately, democratization can't be quickly achieved by this strategy. I think it is safe to say that in recent years the Belarusian Language Society, the campaign Budźma or the Voluntary Society for Protection of Architectural Monuments have been more useful for the evolution of the Belarusian society than any political party or any of the opposition candidates in the past or future presidential elections. Politics in Belarus, as a means of publicly solving issues of national importance, must be grown from the "grass roots", from the very beginning. NGOs are the best way to do this. In addition, there are tens and hundreds of progressive people who work in the government and are able to implement useful initiatives to change the regime from within. A good example is the Belarusian-speaking culture minister Paviel Latuška (Latushka). There are people of this kind in many state institutions at different levels. Such network is unsinkable and capable of leading the country to change – not now, but after many years. One should not be more sad about this new approach than about other issues of the public life in Belarus. As a revolutionary scenario for the positive change is impossible, the democratic community has eternity at its disposal.